Organisation has been using vacant billboards to highlight politicians who have changed their standpoint on Brexit. The pro-remain group Led By Donkeys has tweeted that JCDecaux is not allowing it to purchase ad space because it is "too political". A spokesman for Led By Donkeys said that JCDecaux initially agreed to host the billboards before retracting the offer due to a policy to not host any political advertising. Huh. @JCDecaux_UK (the big beasts of billboards) won't work with us cos we're 'too political'??. We're booked in with an indy for a bunch of sites next week across UK. But has anyone got 48' or 96' sites they wanna sell us for 28th Jan cycle? DM us. We have £££ ?? 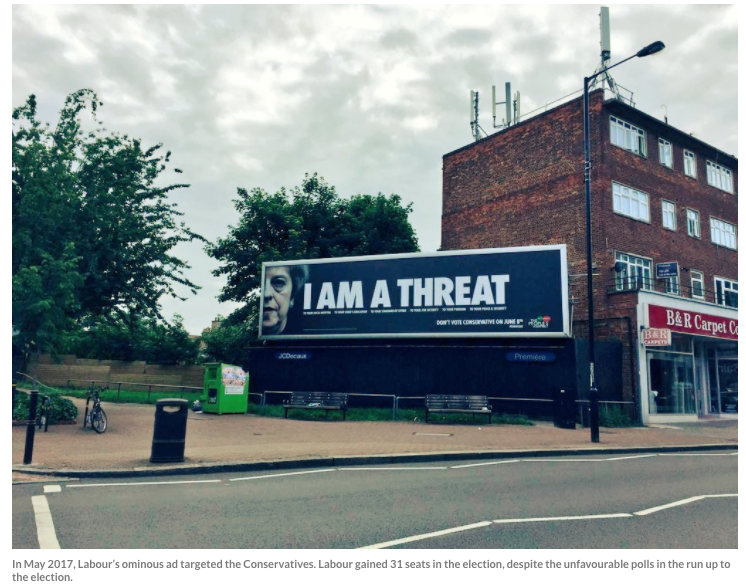 However, in May 2017, a Labour advertisement targeting Conservatives was hosted on a JCDecaux billboard. 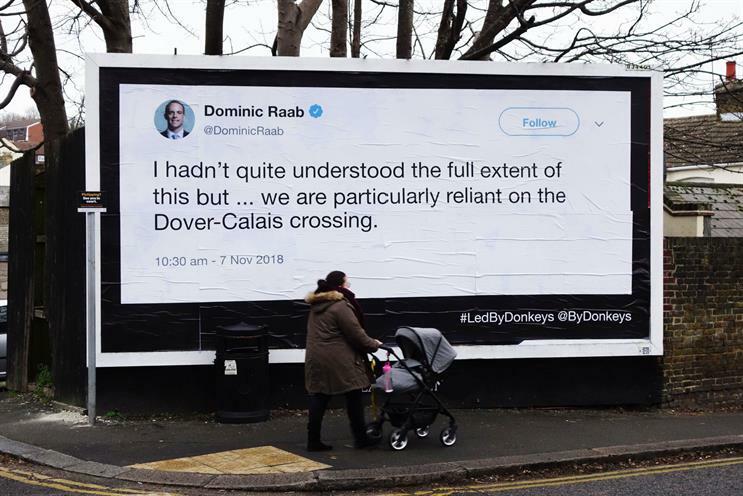 On vacant billboards, the guerrilla group has been plastering posters featuring tweets and quotes from politicians who have moved from Remain to Leave. Currently, Led By Donkeys has raised more than £63,000 from in excess of 2,600 supporters via Crowdfunder to purchase billboards across England in month-long increments. The next campaign will begin next week using AirOutdoor billboards. Guerrilla billboards have been spotted in Solihull, Dover and London, and feature politicians including Theresa May, Boris Johnson and David Cameron, among others.